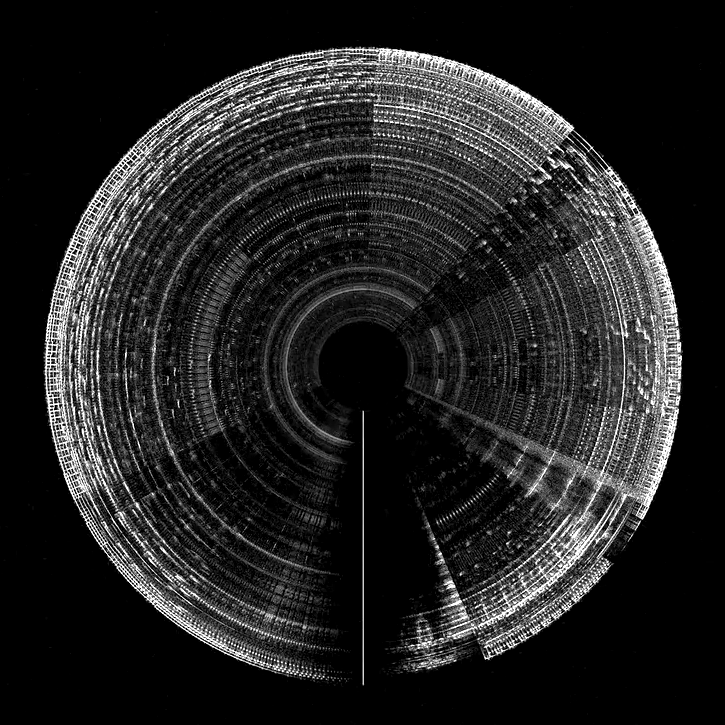 A circular musical spectrum analysis generated by Jon-Kyle Mohr who tells; "A musical tone consists of multiple overlapping sine-waves oscillating at varying rates. This motion graphic represents the isolated frequencies and rhythmic patterns of Ryan York's “If I Am This Forest”. Of particular interest is the swell beginning at 0:45, and multiple simultaneous frequencies which form the single melodic vocal line at 2:05.